UK: Scottish engineering firm Isleburn has won the contract to provide suction anchors to Statoil's 30MW Hywind Scotland project. Isleburn, a division of energy and marine engineering firm Global Energy Group, will manufacture 15 suction anchors for the floating wind project. Suction anchors use a similar technique as suction buckets to be secured to the sea floor. Fabrication of the suction anchors will take place in Isleburn's facilities at Nigg Energy Park, northeast Scotland, starting in Q1 2016. The 15 anchors will tether the five floating foundations to the seabed. The Hywind floating foundation is a spar-based design, made of a steel cylinder filled with ballast. It extends 100 metres below the surface and is attached to the seabed by a three-point mooring. Isleburn will deliver the fifteen anchors in early 2017. Isleburn has mainly supplied to the oil and gas industry, but it has also been contracted help manufacturer the met mast for EDPR's Moray Firth offshore project. 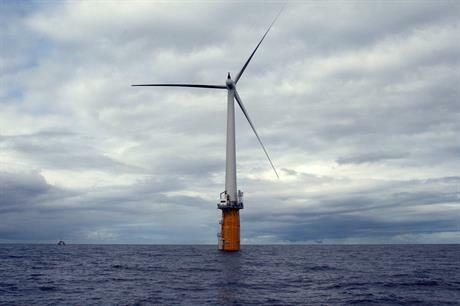 Statoil made a final investment decision on the 30MW Hywind project in early November after the project was awarded a marine license by the Scottish government. Five 6MW turbines will be installed 25km off the Scottish east coast in water depths of 95-120 metres. A demonstration Hywind turbine has been in operation off the coast of Norway since 2009.